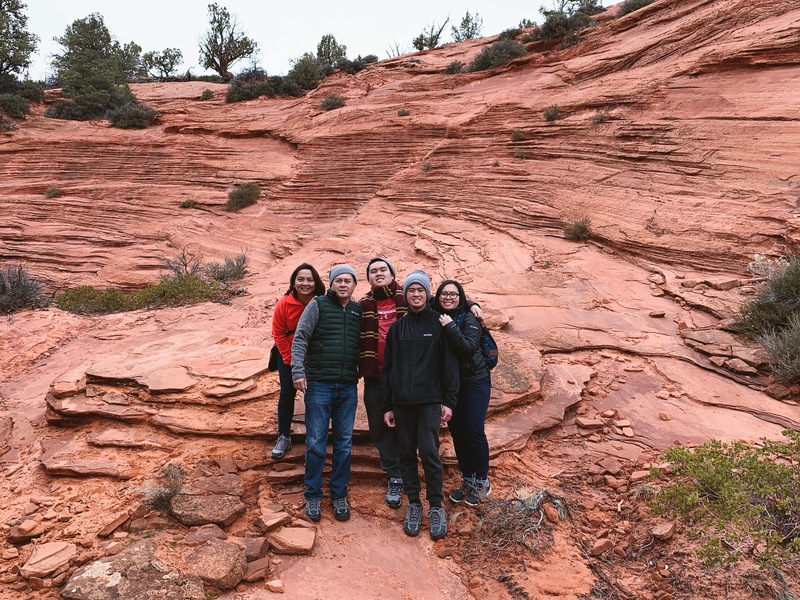 For my brothers’ spring break, we planned a trip to Kanab, Utah – southern Utah’s hidden gem. I basically got put in charge for finding accommodations + things to do and I’m proud to say that I think I did a pretty decent job! Kanab is a city located in Kane County, Utah which happens to be north of the Arizona state line. This area was first settled in 1864 and the town was founded in 1870 when ten Latter-Day Saint families moved into the area. 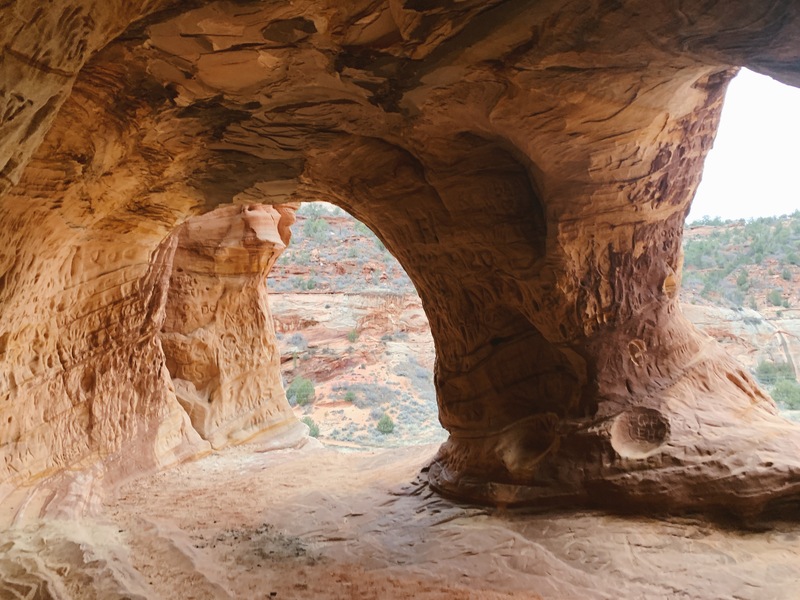 If you’ve ever heard of Utah, you’d know that Utah is home to five national parks as well as several state parks! 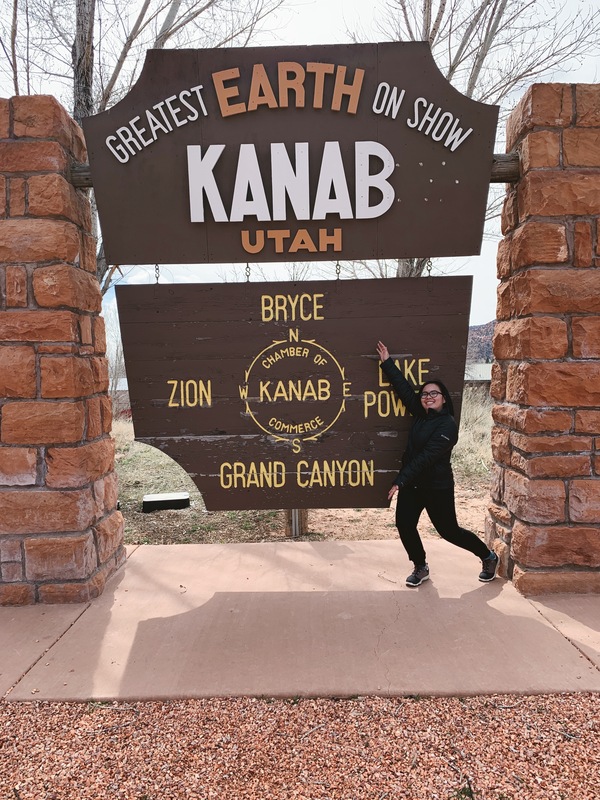 Kanab is easily base camp for the national parks – you have Zion on the west, Bryce Canyon to the north, Grand Canyon to the south and Lake Powell to the east – how cool is that?! We booked this home through Airbnb and it was a great decision! 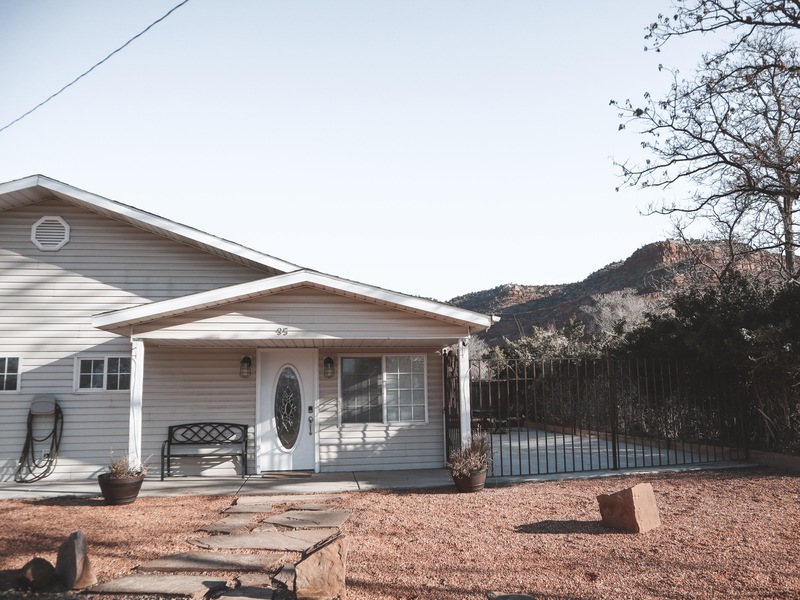 The home was easy to find and was located fairly close to the US-89 highway. We arrived in Kanab late at night after stopping through Las Vegas on our drive. On our first, we grabbed breakfast at a local joint, Jakey Leigh’s, which was nothing too special – your regular eggs / toast / bacon breakfast. We explored a little bit of the town (Best Friends Sanctuary, Moqui Caves) before driving out to explore local but off-road attractions. Unfortunately, we didn’t have an all-wheel drive and some places were inaccessible. Luckily, we found Coral Cliffs Tours and Townhomes and they basically saved the day (PS, the rent out homes too)! 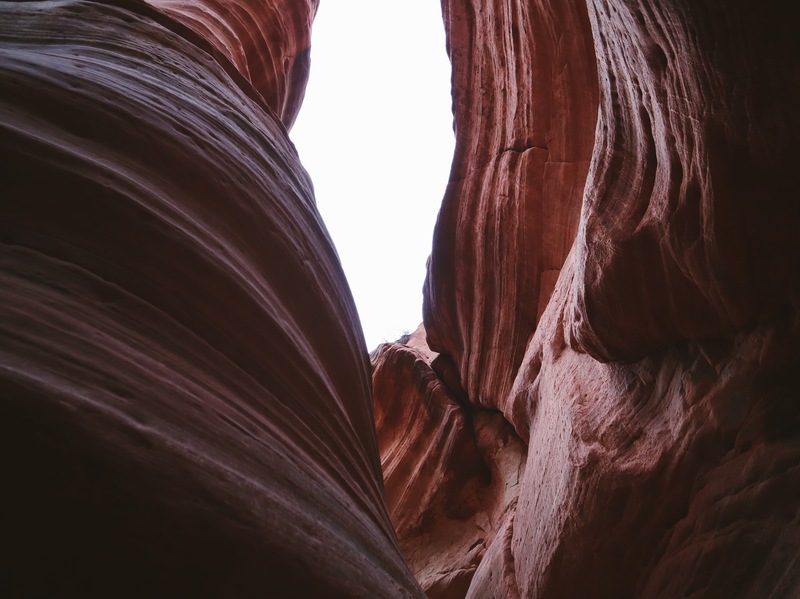 This slot canyon is a perfect alternate to Arizona’s busy Antelope Canyon. The hike was 1.7 miles (round trip) but we had the canyon to ourselves! It was both eerie but amazing at the same time. Jeff (our tour guide) not only showed us the cool places but he was busy serving some educational and fun facts about the place! 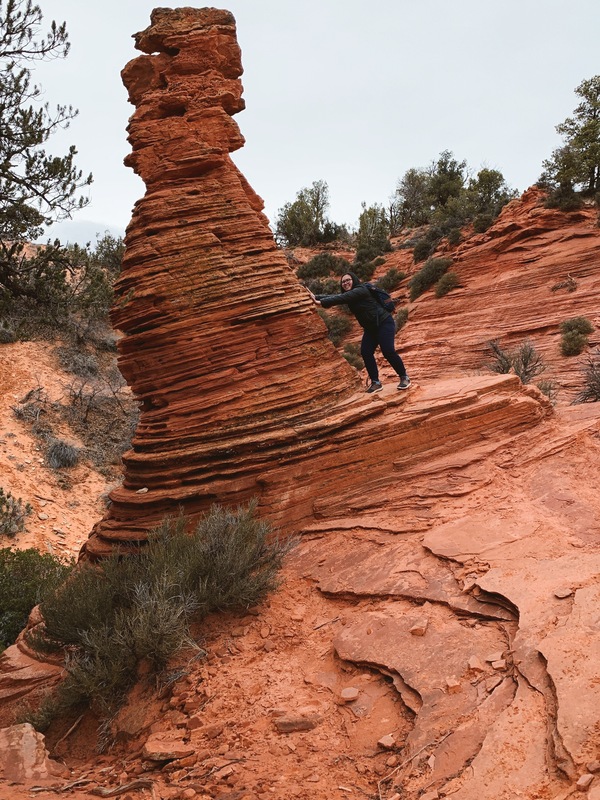 When we finished checking out the canyon, he showed us the only hoodoo in the place. Geology 101 – a hoodoo is a tall, thin spire of rock that protrudes from the bottom of an ariddrainage basin or badland. 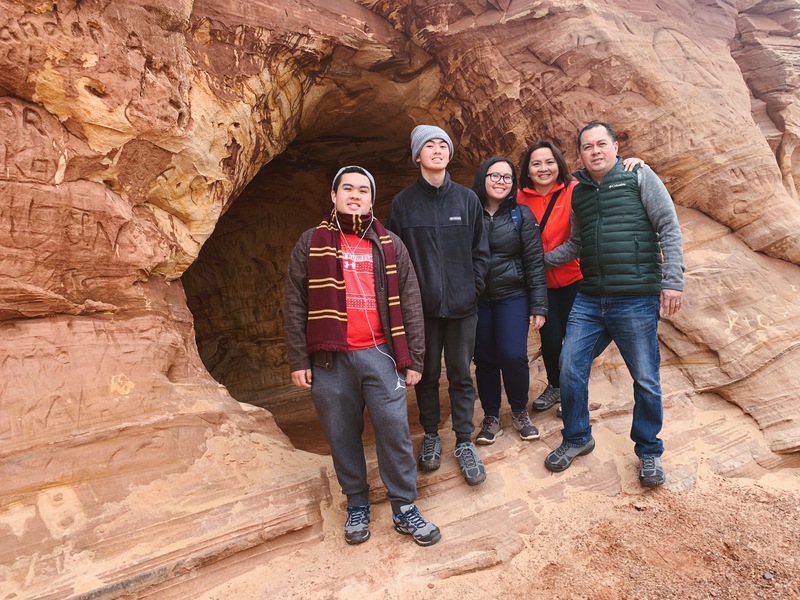 Before heading back to the Airbnb, we also managed to check out the Sand Caves of Kanab! 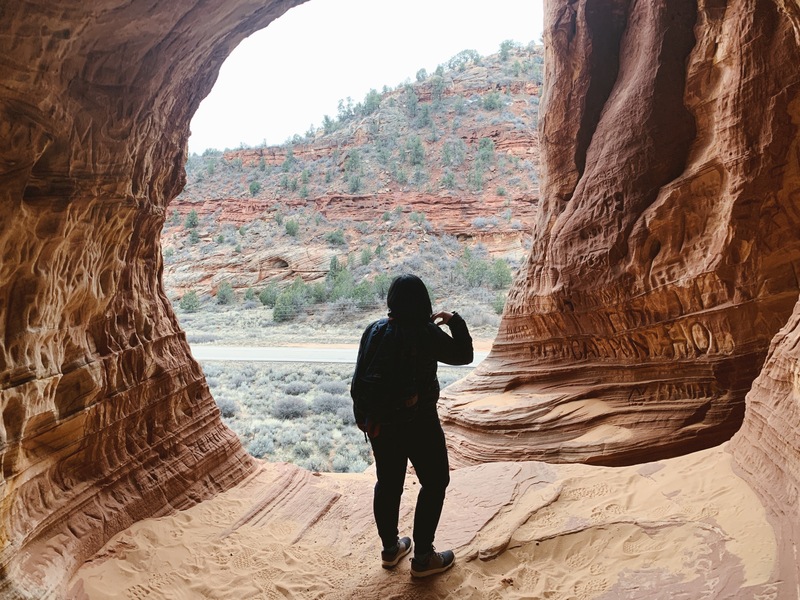 We parked on the side of the US-89 highway, ran across the road, climbed up a mountain (which, according to my Apple watch, was equivalent to twenty-two flights of stairs) and got to explore some caves. It was a cool experience and getting down the mountain was just as much of a struggle than it was getting up! 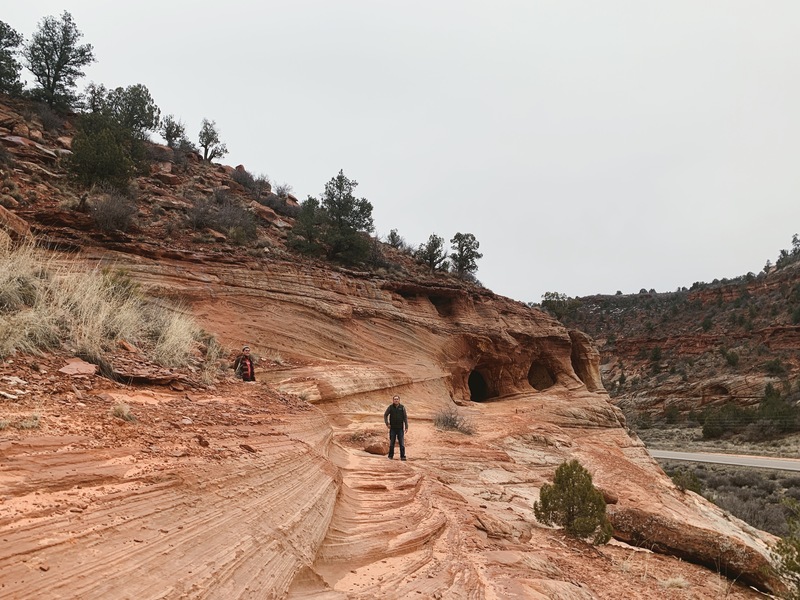 Kanab is such a beautiful city and while we had originally planned to set base camp so we could explore Bryce Canyon, I’m glad the plans changed and we explored locally instead! I’m glad that everything worked out for you guys. Your photos are always so amazing! It is so cool that you went to Utah! You’re the rockstar planner of the family, hehe. Kenab looks like an interesting place. Pretty cool that there is a lot of history behind the town. Oh my goodness, the slot canyon looks gorgeous! I really like how the rocks have formed. Oh man, you guys climb a lot of flights out there. Glad you had so much fun!! Wow, it’s so beautiful! I love how red the rocks are. wow this place screams adventure to me sooooo much!! I had no idea they had sand caves in Utah! I’d love to visit, these photos are so cool and it looks like such a beautiful place! Those photos look like something out of a Hollywood movie. I’ve never been to the US so these are just, out of this world to me. I’d love to see the canyons in real life! what a great hidden gem to get away from the crowds at more popular sites. thanks for sharing this! Utah looks so cool! I love the photos in this post, awesome adventure vibes. Those canyons looks superb! I’m sure it was so much fun to explore those rocks. What a beautiful place! Look at these rocks, so ethereal! I love it! Wonderful post! Thanks for sharing. This is soooo cool !!! 💛 It looks like a place in a movie scene or something lol I bet this was a fabulous experience!! Great share!! “Greatest Earth on Show” hehehe that’s cute! Good job planning, Eena! You pick the most scenic places to visit. The rock formations look otherwordly. Oh my goodness – this looks like SUCH an amazing trip. Never been to Utah, but now I’m thinking I definitely need to go. Thanks for sharing! Spring break in Kanab, Utah sounds like fun. I love the swirly patterns at Peekaboo Slot Canyon. I would love to see Sand Caves. The scenery images are so amazingly gorgeous! Bonus points for me…I actually knew what a hoodoo was! The Slot Canyon looks like a lot of fun. I forget Utah has so many neat places like this. Glad everything worked out!! These pictures are amazing and I can only imagine how much more amazing they look in person!! I love your photo’s they are really good, what camera do you use? This trip sounds incredible, the Peekaboo slot canyon looks gorgeous! Your photography is amazing. Incredible scenery and great info as well – nice job! I’ve never heard of this place but now I want to visit it. Amazing pictures. This place is incredible, I dream to come to visit it! This place looks gorgeous! Going to have to add it to places I want to see in the US. I love staying in Airbnb homes too they have so much more space than a hotel and it feels like a local! Absolutely gorgeous!!! I’ve been to Zion and Bryce, both also beautiful. Utah is an incredibly beautiful state. It’s a great place. Best to go with friends. Wow, the places look great. We are planning for Utah vacation soon, will follow your blog for updates on Twitter. Love this post – so much unique scenery! Those hoodoos are awesome. Those sand caves look amazing! What a place to explore! Fantastic pics! I have been to Lake Powell and the scenery is great! This sounds worth the trip next opportunity I’m in the area. Your photos are insane! It looks like an alien planet and a truly unforgettable experience. Can I ask how much roughly it all cost? Is it possible to do it on a budget? And is a car essential? Is it possible to have a similar experience using public transport? you took many lovely photos, my favorite is the last one. Such a beautiful place to have a nice vacation. I wish to make a road trip for USA. these are absolutely stunning images! I love Utah- I have an upcoming trip to Zion and I want to start checking this place out. Wonderful post. Lovely pictures. Thanks for sharing! Amazing post! Wow, what a place!!! I would really like to discover Utah. The sights are just amazing. I have only ever had a short layover at Salt Lake City airport. I’d love to explore more of America, so far I’ve only been to Florida! Those canyons look incredible! Thank you showing this hidden gem to us. The nature there is amazing. Great photos. Wow! What an incredible looking place. So much of the USA i want to visit. Can’t believe this is a real place instead of a fictive one, it looks too beautiful. You take WONDERFUL shots! Love them!! What a aiming trio all around nature too! Loving the photography aswel it look soooooooo professional you should be proud of this creative content ! It looks amazing there! I knew Utah had beautiful parks but this is now on my list of places I want to visit. That’s great that planning the trip went well and all of your photos are beautiful! I can’t get over the photos of inside the canyon! 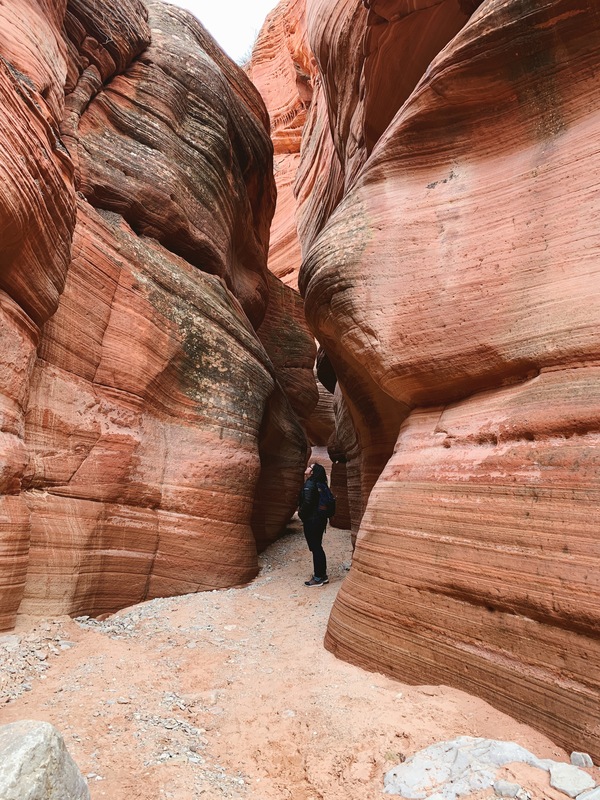 Utah is definitely on my travel bucket list and thanks for sharing about the slot canyon…my family and I loved the surreal Lower Antelope Canyon so really want to check this one out also. I’ve been to Zion before. Hope to be able to visit these other canyons in Utah as well. Wow. Eye-popping place. Reminds me just a bit of my recent trip to Oman. Amazingly raw nature in Utah. Added to my travel list. This place looks absolutely amazing. I love all of the photos in this post. If I ever came to Utah I’ll be sure to go there. Wow the slot canyon looks incredible! I’ve seen photos of similar things but had no idea where they were! Will definitely have to visit at some point as it looks amazing! Great job on finding the accommodation! AirBnB never misses for me! This looks beautiful! We don’t get these kinds of landscapes in England! The canyons in particular look amazing! omg these photos are stunning!! Hidden gem indeed! Your photos is absolutely stunning! Thanks for sharing dear.